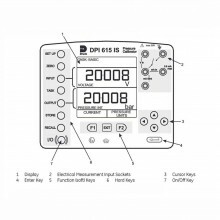 The Druck DPI615/PC IS model, with data storage and RS232 interface, reduces calibration times and eliminates data recording errors. 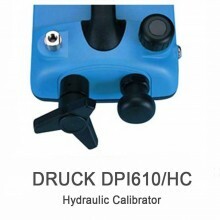 The Druck DPI 615 has been designed for ease of use whilst meeting a wide range of application needs including calibration, maintenance and commissioning. 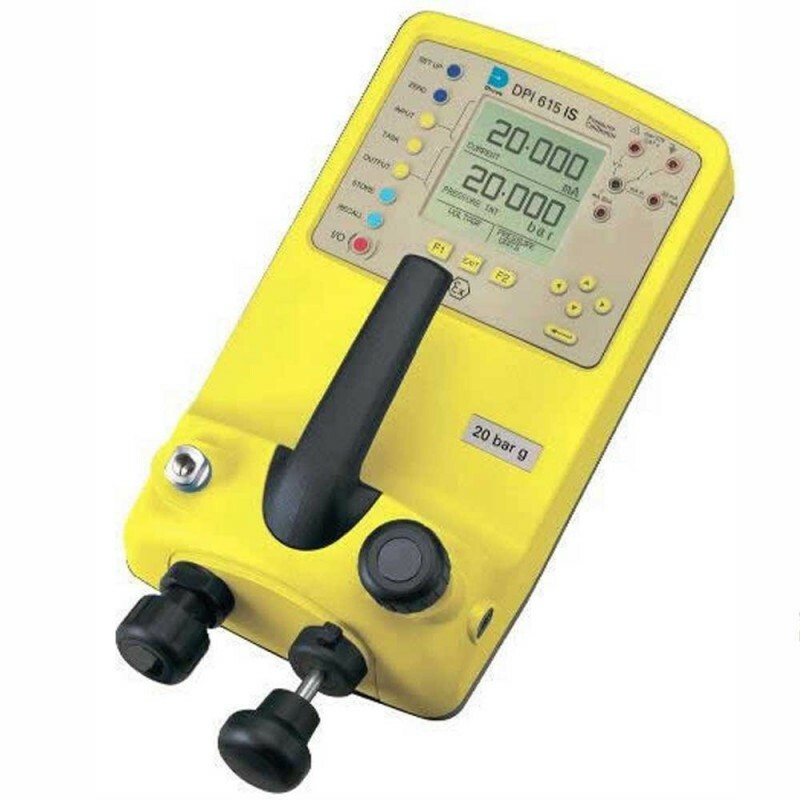 These self-contained, battery powered packages contain a pressure generator, fine pressure control and output measurement capabilities, as well as facilities for 4 to 20 mA loop testing and data storage. 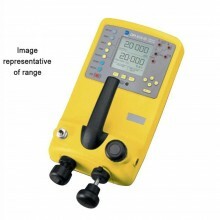 The Intrinsically Safe version, certified to European and North American standards for use in hazardous areas, reduce response times to breakdowns and emergencies by removing the need for ’Hot Permits‘ and gas detection equipment. This gives peace of mind to all those responsible for safety within hazardous areas. Certified to ATEX and CENELEC standards. 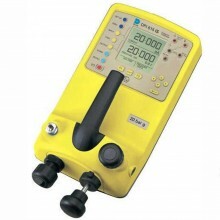 Hand pump: -850 mBar to 20 bar. Volume adjuster: Fine pressure adjustment. 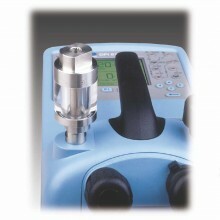 Release valve: Vent and controlled release. 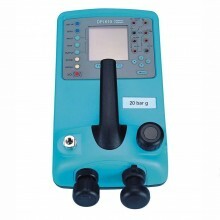 Pressure Units: 25 scale units plus one user-defined. mA step: Continuous cycle at 10 sec intervals. Data log: internal memory for 10,000 values. Process Functions: Tare, maximum/minimum, filter, flow, % span. Readout: ± 99999 capability, two readings per second. Display: 60 mm x 60 mm graphic LCD. Languages: English, French, German, Italian, Portuguese and Spanish. Dimensions: 300 mm x 170 mm x 140 mm. Druck DPI 615/PC IS Warranty: 1 year. 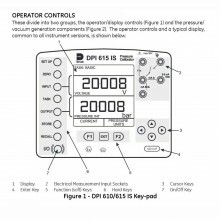 Includes: DPI615/PC IS 20 bar G, carrying case, test leads, user guide and calibration certificate with data.